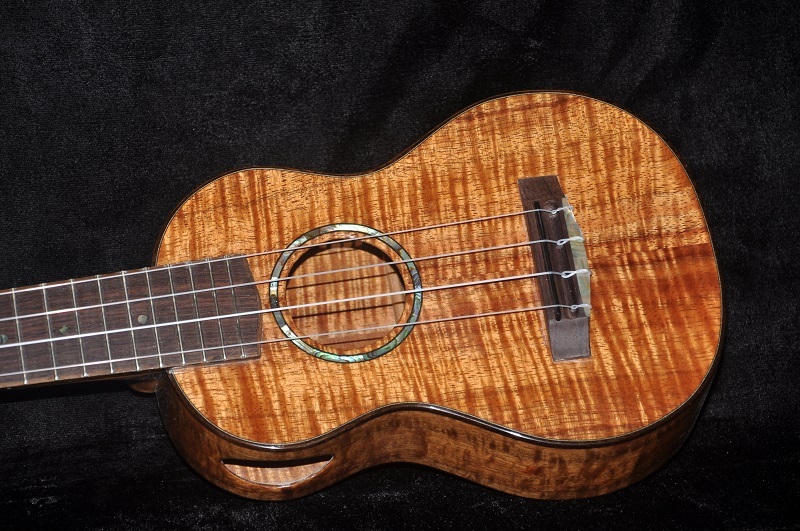 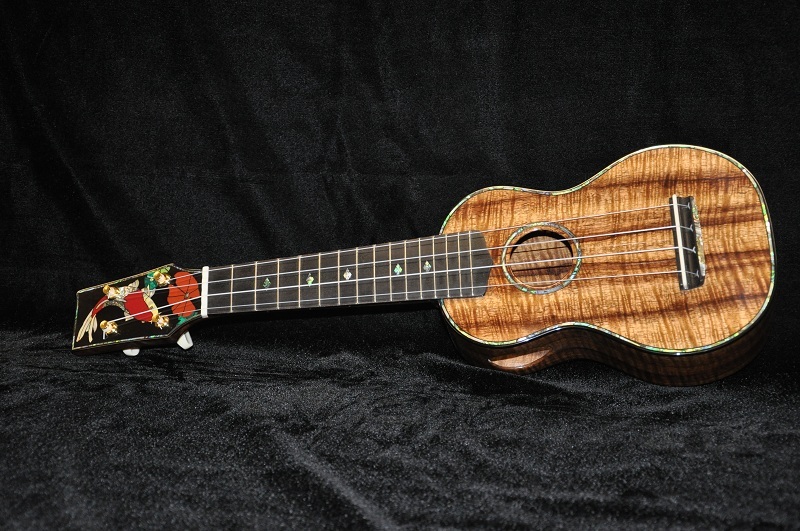 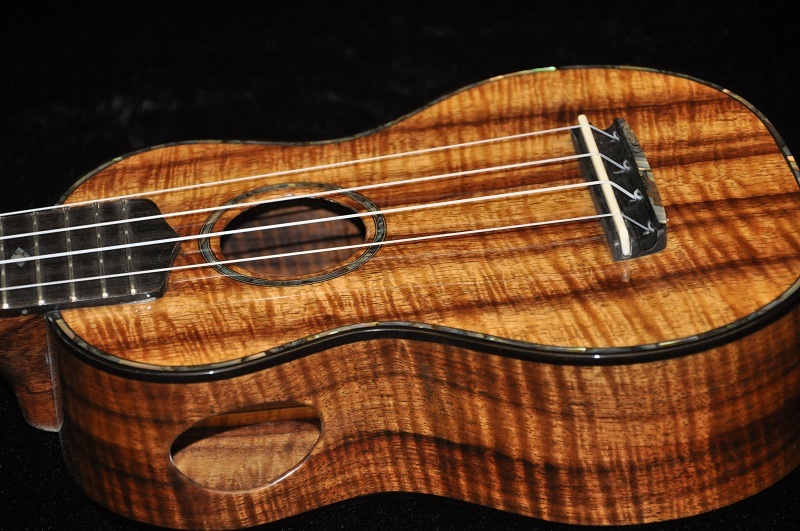 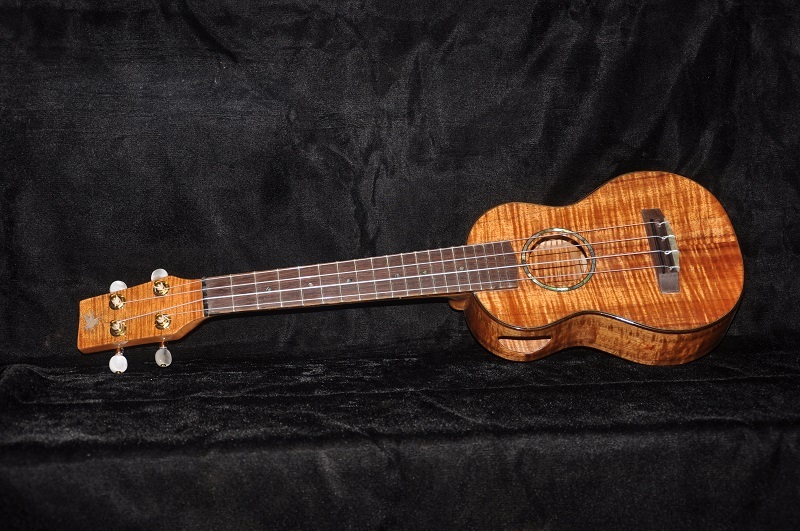 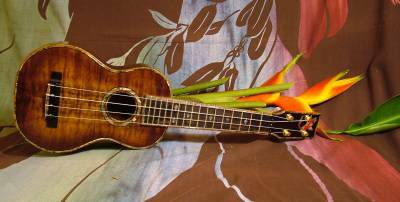 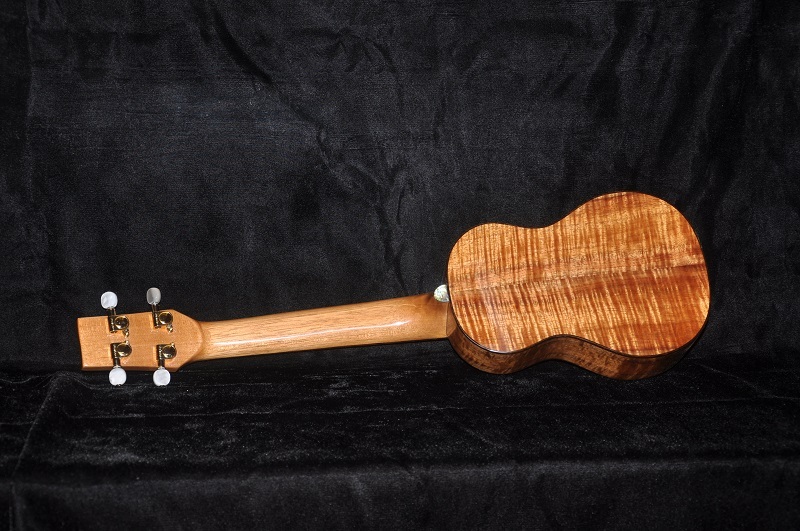 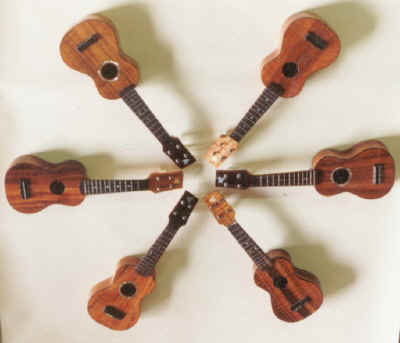 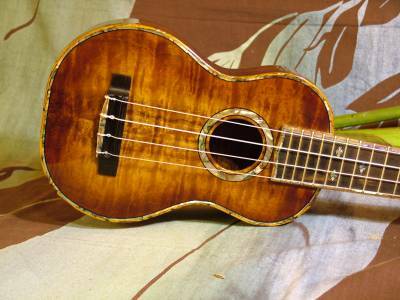 ﻿This is a soprano body size ukulele with a concert length neck. 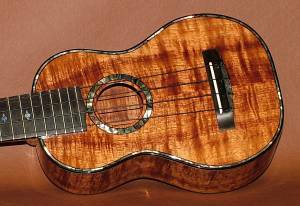 This combo gives great volume from a small body. 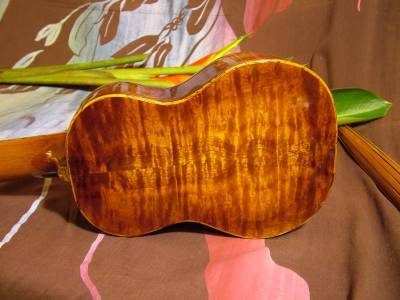 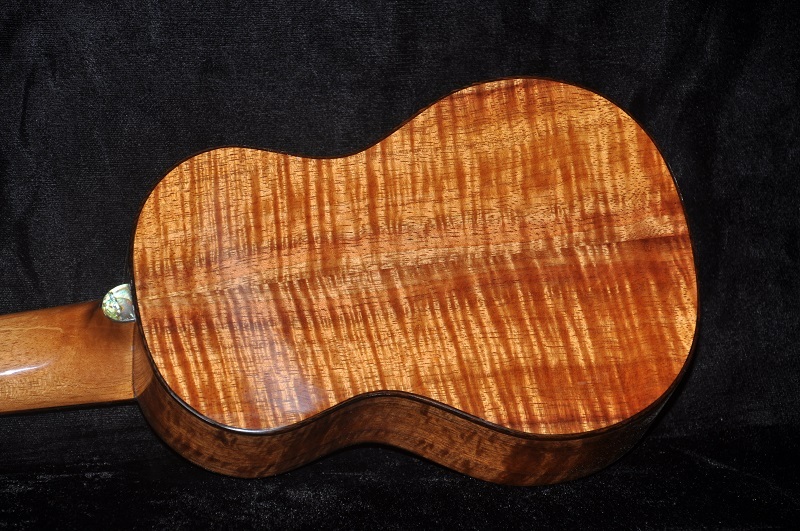 Top, back, and sides are curly koa. 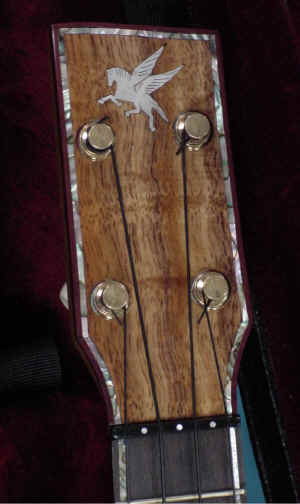 Pheasant Wood binding on the body and fretboard. 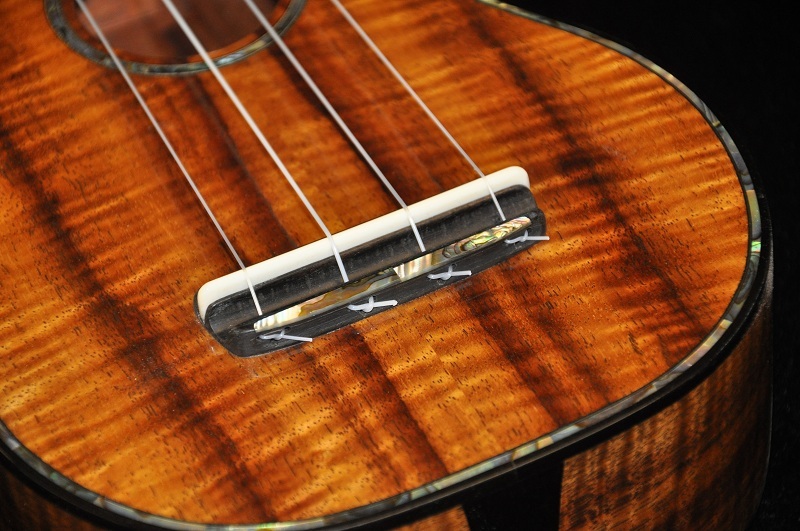 Rosewood fretboard and bridge. 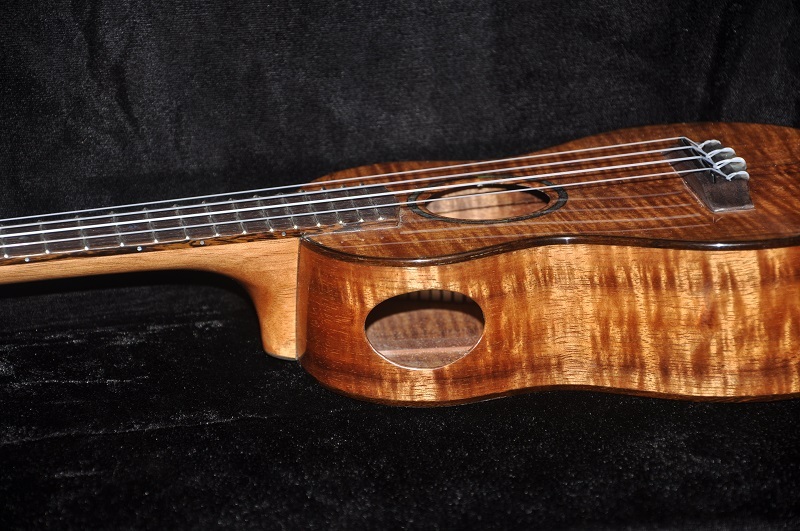 Solid shell Paua abalone rosette, fret markers, rosette, bridge and neck heel inlay. 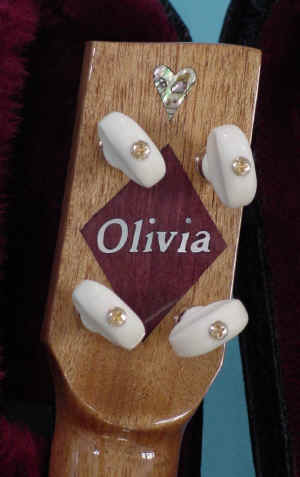 Gold plated mini-Grover tuners with pearloid buttons to reduce weight. 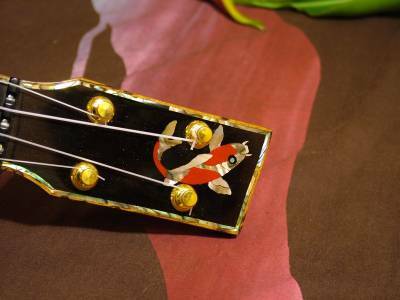 Hand cut Mother-of-Pearl logo. 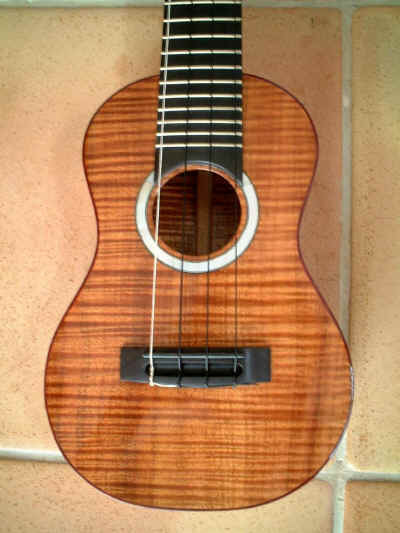 Soundport. 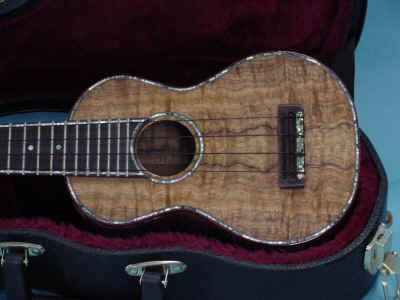 Because of the long neck the case is a concert size and must have additional padding added to fit the body.